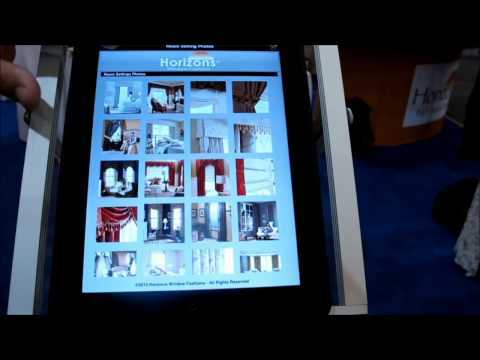 Custom Roman Shades - Blackout, Cordless, Fabric, Bamboo & more! 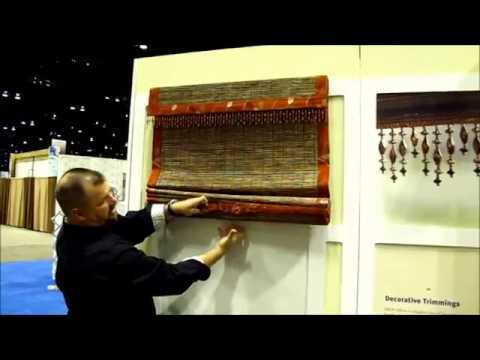 Roman shades are a beautiful window treatment option. 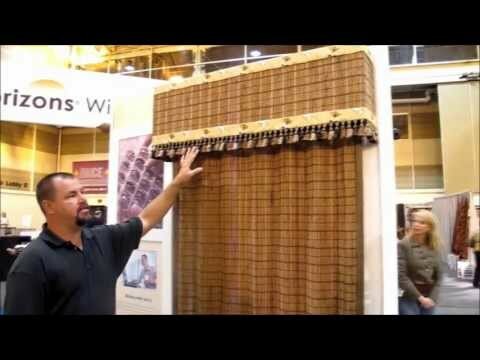 The design of a Roman shade is typically a flat piece of fabric with accordion like folds that come together when the lift mechanism is operated. 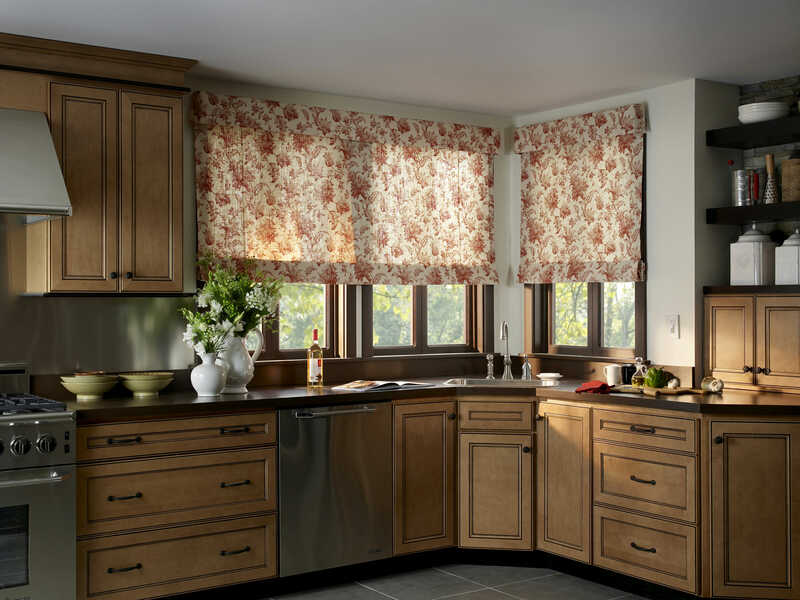 Roman shades come in a wide variety of styles and colors and are characterized by folded fabrics that settle smoothly, evenly and gracefully into soft folds when raised. 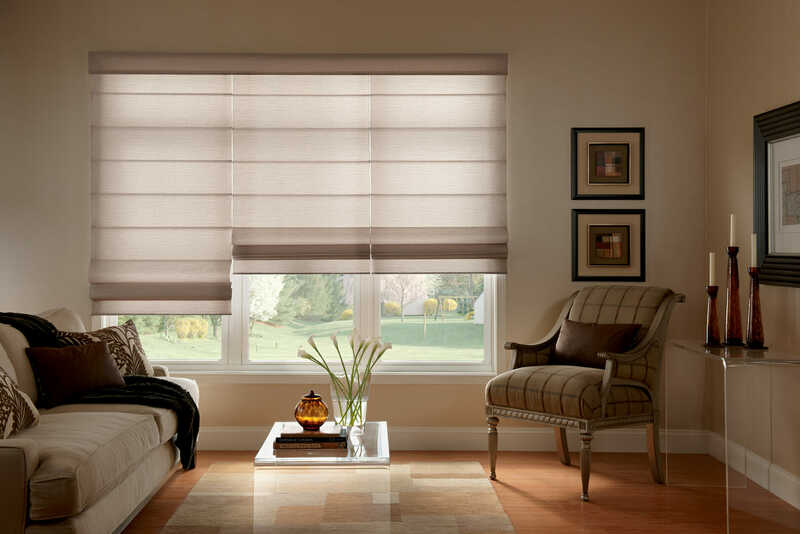 Elegant Roman shades offer a style that combine the look of a fine drapery, the ease and convenience of a shade, and classic lines suitable for any room, taste or décor style. 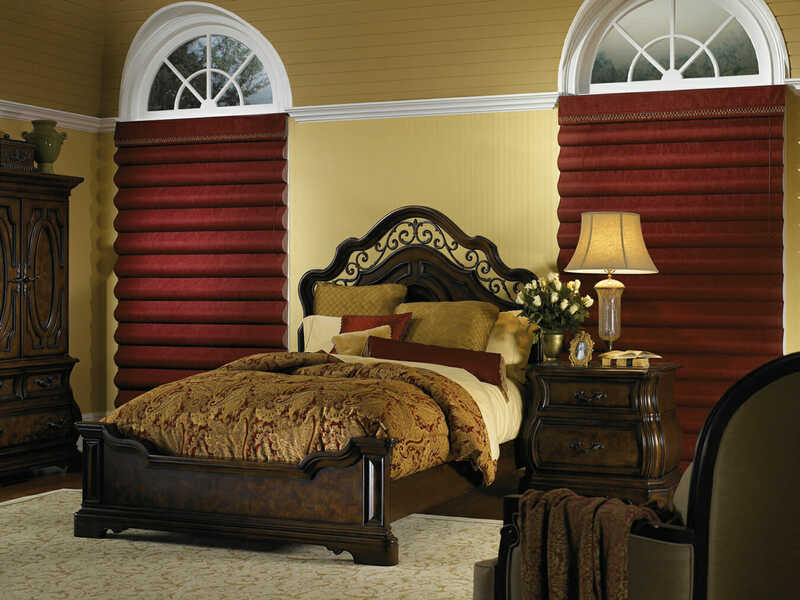 Roman shades are a beautiful window treatment option. 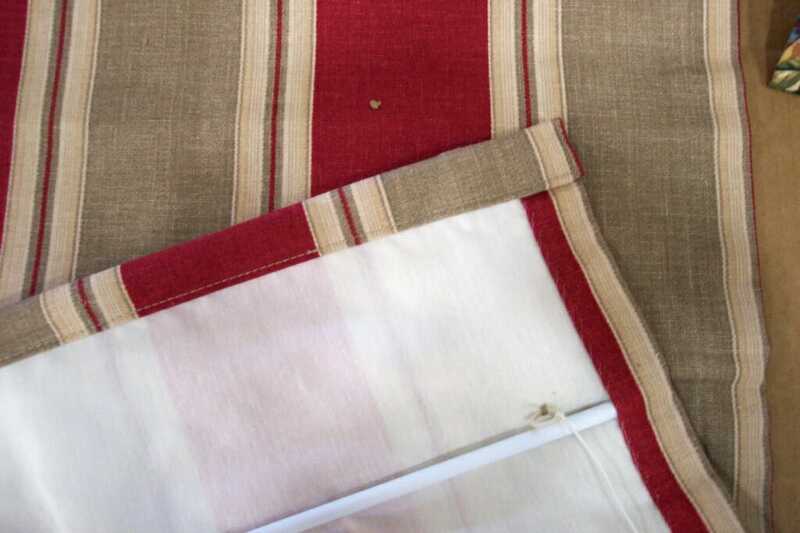 The design of a Roman shade is typically a flat piece of fabric with accordion like folds that come together when the lift mechanism is operated. 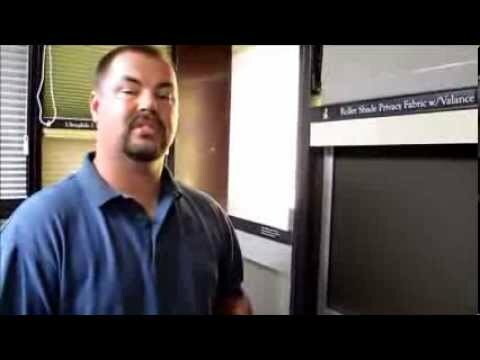 Lift mechanisms can be corded or motorized. 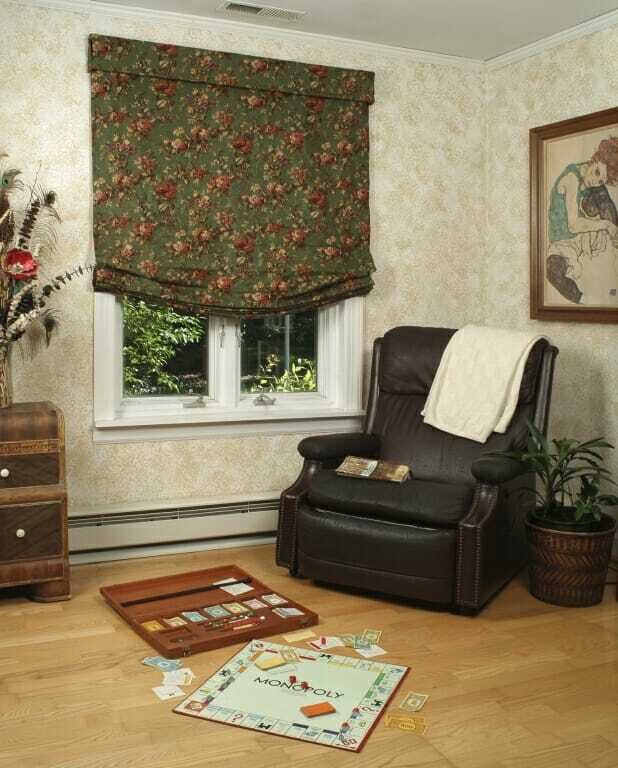 Like drapes, Roman shades provide excellent coverage, yet they can be raised up and out of the way when you want to enjoy the view. This also allows you to have control over the amount of light that is filtering through your windows. And if you’re planning to use top treatments or drapes over shades, you’ll find that Roman shades unique styling fits well with the treatments of your choice! 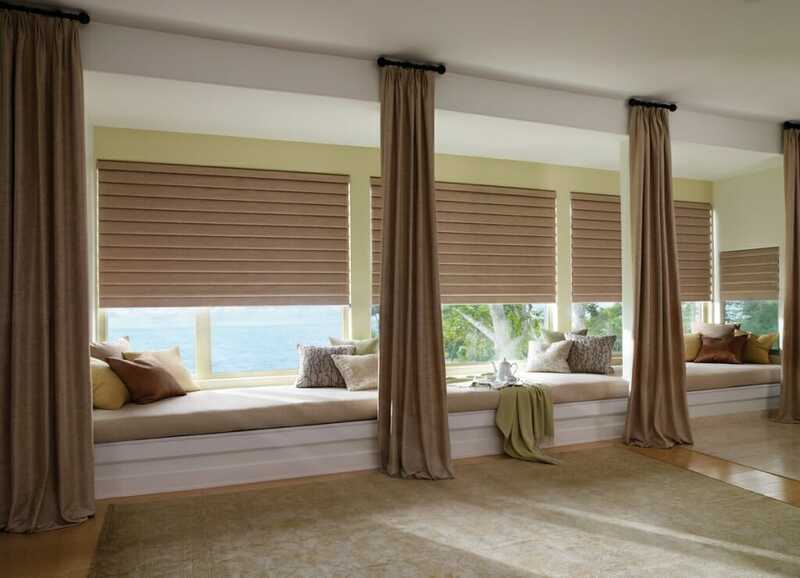 Modern Roman shades come in a wide variety of colors and styles and can be mounted inside of the window frame, exposing the molding, or on the outside as well. 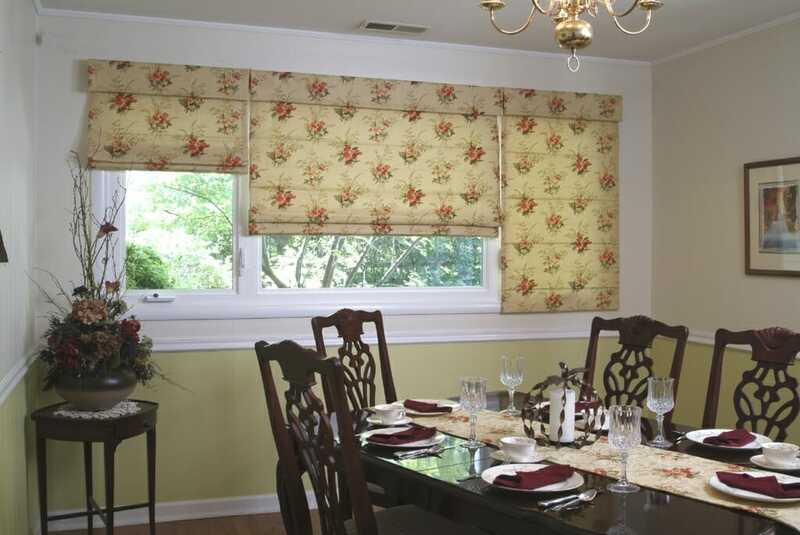 Roman shades can also be customized to look causal or dressed up. 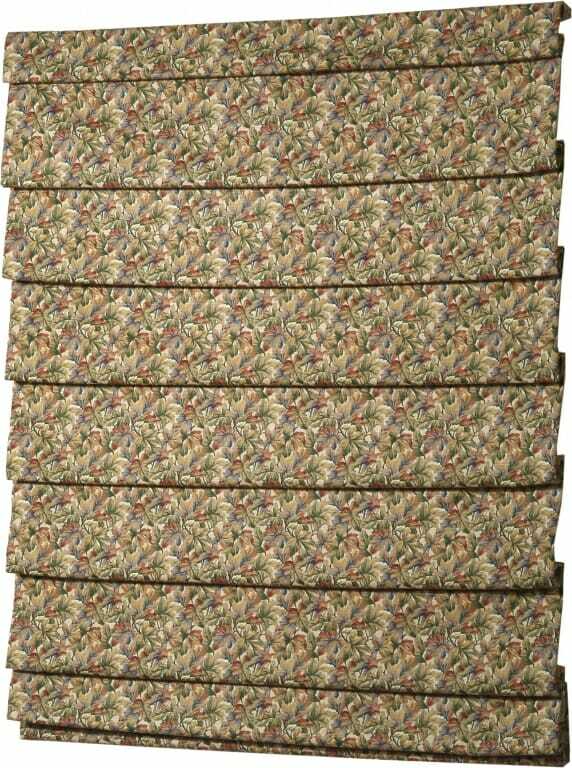 Depending on fabric and style, they enhance the design of traditional, classic or very formal spaces. 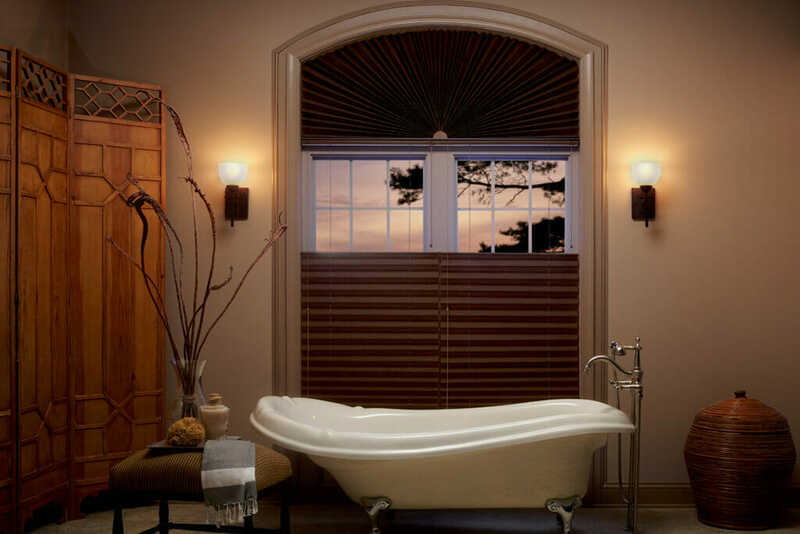 Roman shades are available in simple styles that lie flat against your window or in pronounced rounded folds that give an almost louvered look to your window design. I love using Roman shades in my clients homes. Not only are they functional but there is no better way to get a professionally designed showcase home look.They bring style and softness to the room while pulling everything together, they are like adding a touch of jewelry. 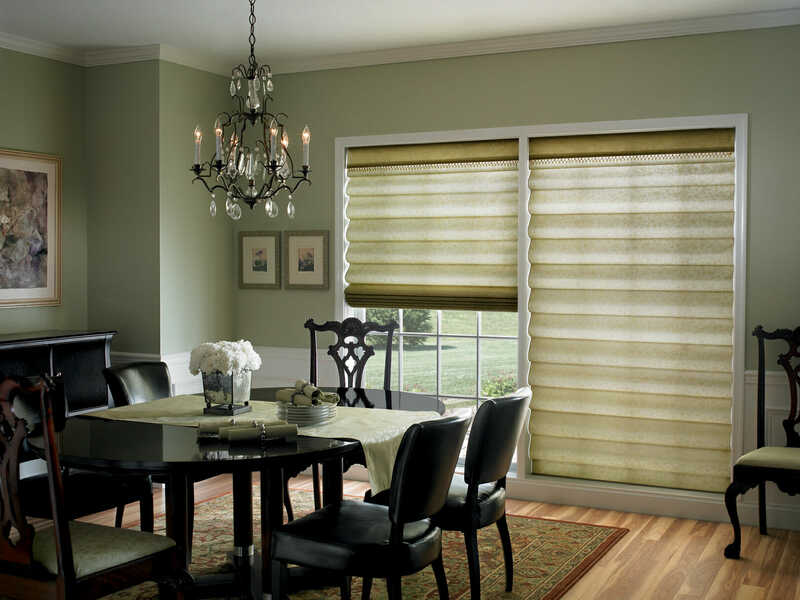 There are many ways to achieve the look that you want with Roman shades by using different fabric textures and colors. By using a beautiful embroidered silk in the master bedroom you can design a romantic getaway, Canvas or cotton shades with a contrasting banding looks great in children's rooms and playrooms You can even get them in a woven wood material that allows you to have a more organic or beach feel. The beauty of Roman shades is when they're completely lifted up out of your window, not only do you maintain your view but they create the look of a designer valance. 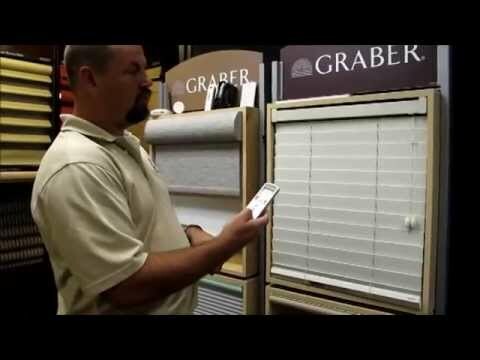 If you love that look and you want to keep it all of the time, even when the shade is down use the hobbled Roman shade style and it will look exactly the same when it's down as when it's up. 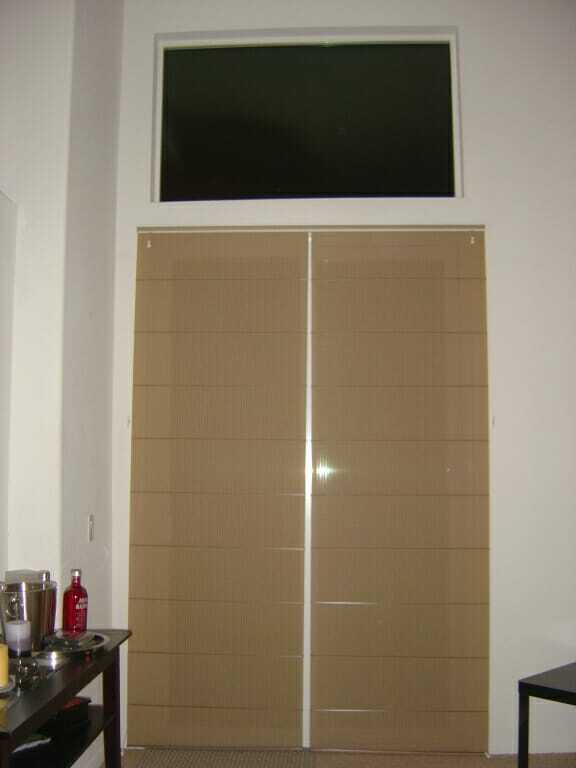 The only way to wow your friends even more with this shade is to add a couple of drapery panels on each side to frame its beauty! I would highly suggest considering Roman shades for your next window purchase.